"Adjust the settings until the exposure needle is in the middle," my dad said, as I wobbly held the Olympus OM film camera. My child-sized hands fumbling with the aperture and shutter speed adjustments on this strange device. Soon I was able to bring the needle of the light meter to the center position, indicating a proper exposure. I held steady and pressed the mechanical shutter release. CLICK. That was in the '80s, and it was my first experience with a camera. Cameras and technology have come a long way since that time. Although our cameras make different noises and have advanced features the fundamentals are the same. Over the years photography has served many roles for me. First the fascination and magic of seeing how the film would develop. Then it was a social crutch, I liked to hide behind the lens at parties and events. I always fell into the role of the dedicated photographer. In hindsight I realized that I preferred that people "talk to my lens" rather than me. Now my awkward youth has passed and my photography has developed into a passion for bold, dynamic landscapes. That has fused well with my love for the outdoors, hiking and backpacking. 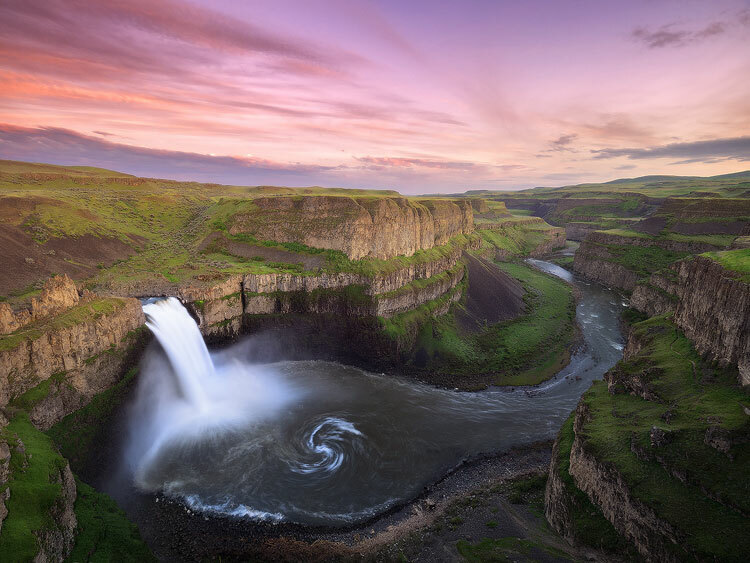 The Pacific Northwest has a wonderful variety of climates, from the rocky coastlines, to the Cascade Mountains and the high deserts of eastern Washington and Oregon. I try to capture them all, and I feel fortunate to live near these amazing places. I think there is a lifetime of learning to look forward to and I strive try to keep a "beginner's mind" at all times. The online community has been awesome and seeing other people's work continuously refreshes, encourages and inspires me. I like to see how photography is constantly evolving yet fundamentally staying the same. One thing that will never change is the magic of capturing a slice of time that you know will never happen again. For me, and many others, that idea is very compelling. A few weeks ago I took my son out on his first photography trip. I rotated the mode dial to manual and handed him the camera. "Turn the knob to adjust the shutter speed," I told him, "make the exposure graph move to the middle, then press the shutter release." A few seconds later I heard a sound...beep-beep-CLICK - then I saw a familiar smile on his face, the same one that I must have made many years ago.